It’s almost the middle of September. Days are becoming shorter and colder and it’s time to consider indoor activities. That does not mean you or your kids should be deprived of green fun! Here’s an indoor gardening kit that won’t only get your kids to play with earth and seeds, it will also encourage their creativity. Yes! This awesome kit is about crafts as much as it is about gardening! 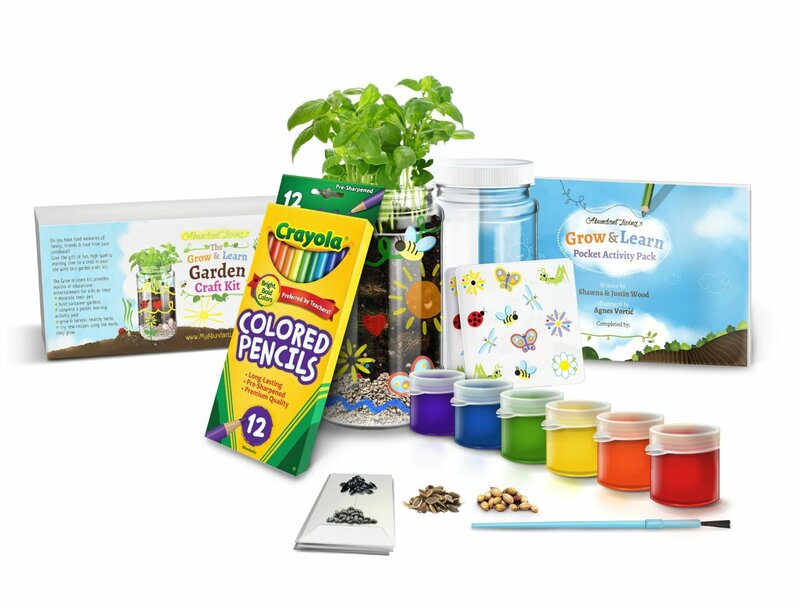 It comes with two safe plastic jars, colors, stickers and pencils, so kids can have fun decorating the jars before they plant their little garden. What a wonderful idea! After all, planting seeds doesn’t last that long in itself, so getting kids to interact with the planting jars by decorating them means they get to spend more quality time preparing their little garden. What about the plants though? No worries! This kit has it all. You get four types of seeds here: Basil, Chives, Cilantro and Dill. Your kid can plan them in the jars, taking in the marvels of nature and producing something yummy and healthy for their meal too. It’s a win-win for the entire family. Reviewers love this indoor gardening kit. Check out the reviews for more photos and to read about other families’ great experience with this. The developer of this kit is a teacher and you can tell she knows what kids love and need. I really think this is an awesome gift for any boy or girl aged 3 to 7. Check it out on Amazon here and leave me a comment to let me know what you think. Previous Post:Lego compatible building blocks – Why pay more?